Plastic Loop Badge Holder Straps - On Special Sale Now! Material: Clear Vinyl Plastic Badge Holder Straps with Strap Loops . 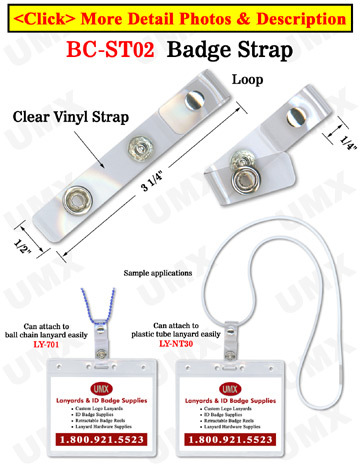 The plastic loop clear vinyl badge holder straps come with round loops for lanyard straps, elastic cords, strings, round cords or ball chains to go through.